LovelyTeng has started a donation pool! Your donate the point,make be friends. The arts are amazing than me. The future always points for you guys! My Future Mixels are my favorite characters is Joff, Diren, Grittin, Phall, and Chirl. Jeff Bennett's Four Main Mixels. Leader of Future Mixels, he's smart, music, shy, and friendly. Daran Norris' Four Main Mixels. Trick of Special, he's singer, music mixer, playful, race, and special. Griffin Burns' Three Main Mixels. Biggest Fan of Science, he best friends: Joff and Diren, he's reader, fun, and good of talking. Phil Hayes' Two Main Mixels. Secondary Leader of Future Mixels, he best friends MCPD: Diren and Chirl, and one side friend: Joff but he scared at Phall and later bring come Joff not scared at Phall bring his friend, my episode Joff bring friend with Phall by "Future Mixels Song Together". He's missions of police and space of stars. Secondary Co-Leader of Future Mixels, he's nervous, time on clock, and built. Tom Kenny's Seven Main Mixels. Co-Leader of Future Mixels, he's most popular the Future Mixels, smart, and kind of special. Dave Fennoy's Four Main Mixels. President of Future Mixels, he's helping, dancing, and very happy. Peter Jason's Four Main Mixels. Helper of Future Mixels, he's mood and best friends: Joff, Chirl, and Dreve. Rodger Bumpass' Two Main Mixels. Teacher of Future Mixels, he's smart and brain with people. One Voice Cast's Seven Main Mixels. Co-Teacher of Future, she's talent, and more kind of thing. No or Various Voice Cast's Eight Main Mixels. Joyful of Future Mixels, she best friends: Onlla and Joff, she's music, cute, and smart. David P. Smith's Three Main Mixels. Created Story of Future Mixels, he's funny and crazy. Jess Harnell's Six Main Mixels. Co-Created of Future Mixels, he's joyful, smart, and shy. Fred Tatasciore's Two Main Mixels. Mood of Sleepy, he's mood and boring of sleep. Phil LaMarr's Three Main Mixels. Smart of Special, he's smart, strong, and sad. Billy West's Three Main Mixels. Sadly of Future Mixels, he's sad, joy, and forgetting. Bumper Robinson's Three Main Mixels. Joy of Future Mixels, he's joyful, playful, and dance. Co-Creative of Future Mixels, she's creative and lovely hug. Carlos Alazraqui's Two Main Mixels. Creative of Future Mixels, he's joyful with hand and magic with trick. Steve Blum's Four Main Mixels. Phall's Twin Brother, friends are Diren, Grittin, and Joff, he joke and moody. Richard Horvitz's Two Main Mixels. He very opposite two mix personality, he cousin is Joff, he smart and angry. Gregg Bissonette's Two Main Mixels. News of Future Mixels, he's friends are Joff and Tumy. He news of thing. Future Mixels are Hybrids Mixels. The episodes and songs are you and me. 1. Tooti is Joff's Girlfriend. Tiketz's Girlfriend, Kuffs' and Busto's Cousin. My Color Switch Mixels is game my phone on Google Play. Chottenge is Future Leader of Game Mode Mixels. Cloppic is Future Leader of Endless Mode Mixels. Golo Mode is father Color Switch Mixels, he leader of Game Mode Mixels, Eranell Mola's Husband. Eranell Mola is mother Color Switch Mixels, she leader of Endless Mode Mixels, Golo Modo's Wife. Leader of Color Glasses Scientists and Color Change Team, she six arm and magic four color. She nice, shy, and smart. Yittaw's Girlfriend, Ligth Bloe's Brother, Fasctia's Best Friend and Sister. Scientists of Investor, he use remote and kind of investing, he kind and smart. Purlla's Boyfriend, Light Bloe's Best Friend and Brother, Fasctia's Sister. Co-Scientist of Color Glasses Scientists, he one leg with roller skate, and hands are kind of things, he greatly and smart. Purlla's Sister, Yittaw's Best Friend and Brother, Fasctia's Boyfriend. Co-Inventor Color Glasses Scientists, she four arms and two legs with flying, she best of scientific, helpful, joyful, and smart. Purlla's Best Friend and Sister, Yittaw's Sister, Ligth Bloe's Girlfrind. New Three Future Mixels are Sleve, Richald, and Grell. Daran Norris and Me are November Birthday, For me November 30! Account is can't verify my account because too hard. I'm live Philippines, but talk English, Mom YouTube is Me of Talk, and make My Future Mixels Hybrids OCs Series Show is I'll make this, but can't verify because too hard, help me! 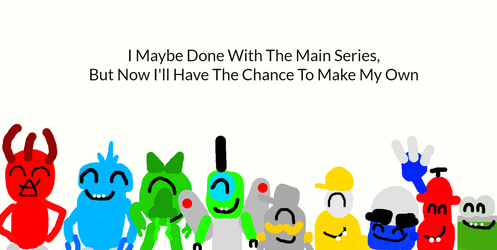 My Mixels OCs Series are make journal but not write because can't verify my account help me and how verify and messages? 1. Dribbal is main characters my fanfiction and voice by Jeff Bennett. 2. Tiketz is pretty scary with date by Kuffs because he young 4 years ago in Young Tiketz, he science, singer, and trick! 3. Snoof is main characters by Dribbal, he great friends are Dribbal, Tiketz, Spugg, and Waka! 4. Kuffs is date with Gendarmia (ZootyCutie's OC) because he so funnier than Tiketz's fear of date. 5. Gendarmia is Fear of Darkness Church, her uncle and friends are Dark Priests (by PogorikiFan10). She main protagonist in my make this story "The Dark Priests MCPD". 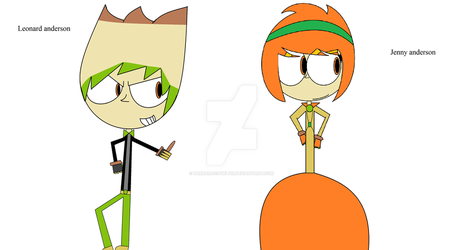 The Mixopoils Mall Peoples are Gendarmia's Past with her Uncle and Tiketz, Joystiq (ZootyCutie's OC) Great friend in Mixopoils Mall. 6. Gurggle is Dribbal's Great Friend, he so happy with Dribbal but without him, Gurggle just think with Dribbal's Special and Memorial Song. My Favorite Mixels because Mixels Voice Casts are Great!